Loch Lochy (Scottish Gaelic, Loch Lòchaidh) is a large freshwater loch in Lochaber. Located 16 kilometres southwest of Loch Ness along the Great Glen, the loch is over 15 kilometres long. The River Lochy flows from its southwestern end while the Caledonian Canal links its northeastern extent to Loch Oich. 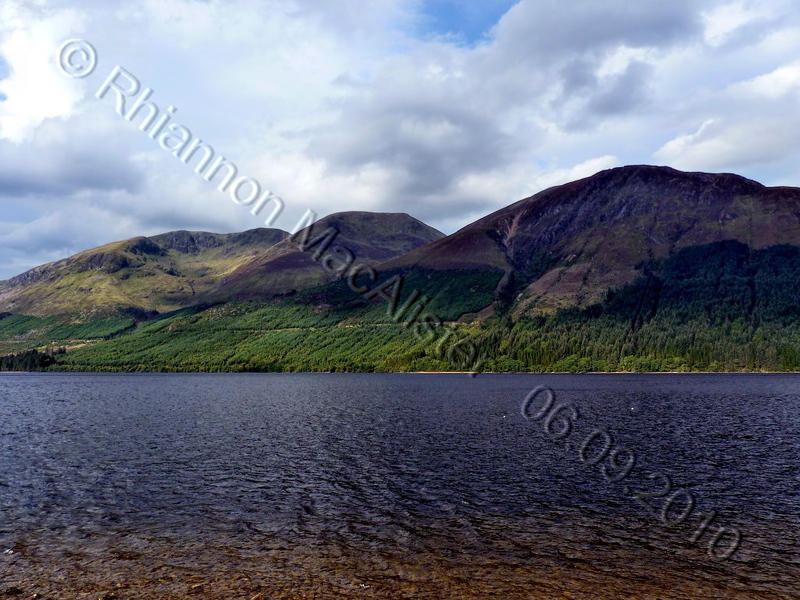 Loch Lochy (im schottischen Gälisch Loch Lochaidh) ist ein großer Süßwassersee in Schottland. Er ist über 16 Kilometer lang und liegt etwa 16 Kilometer südwestlich von Loch Ness im Great Glen. Der Fluss Lochy fließt südwestlich aus dem See heraus, während der Kaledonische Kanal im Nordosten den See mit Loch Oich verbindet. 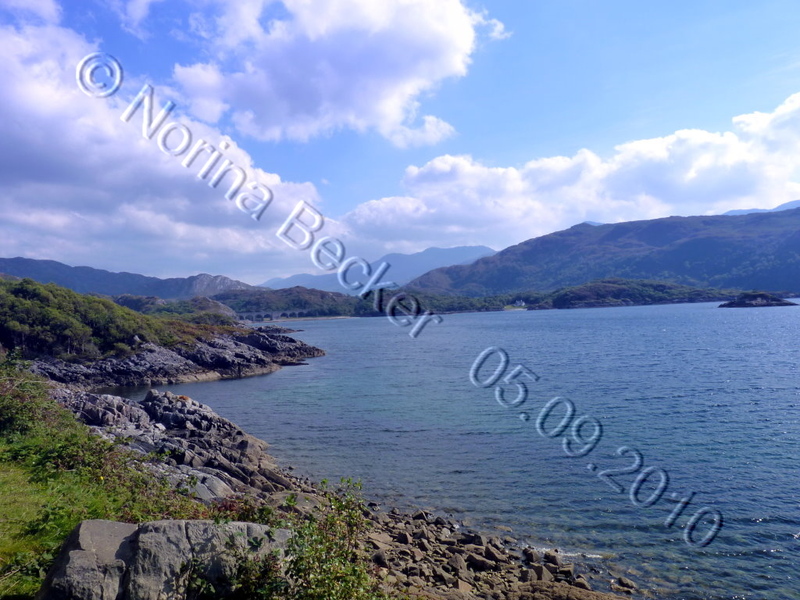 Glenuig (glen-oo-ig, Scottish Gaelic: Gleann Ùige) is a small village in Moidart, Lochaber, Highland, on the west coast of Scotland. 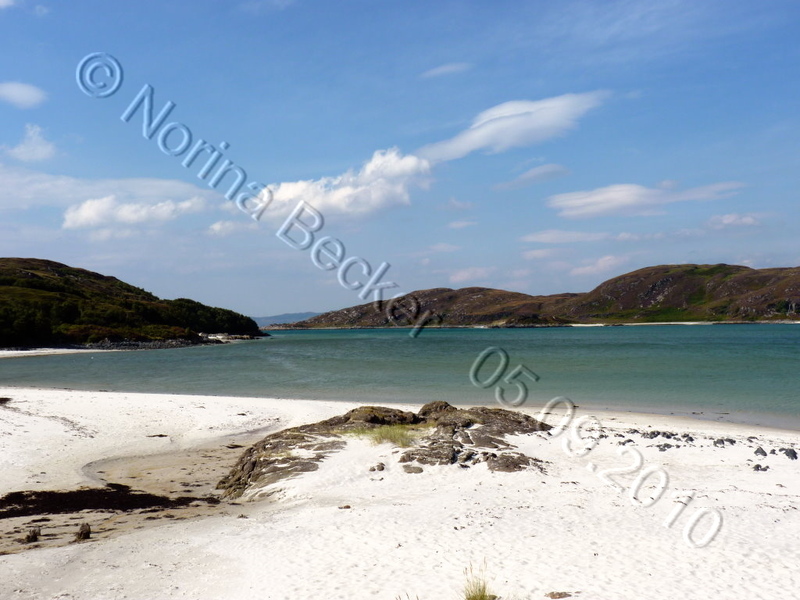 It is around 30 miles west of Fort William and 20 miles from Ardnamurchan Point. 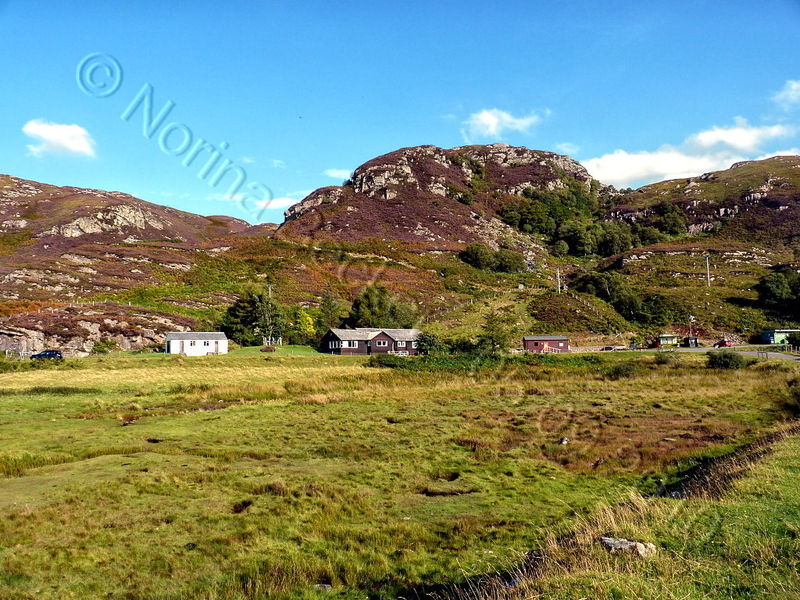 Glenuig is a tiny community of just over thirty folk located in the parish of Moidart in remote west Lochaber. Nowadays it is taken to include the neighbouring settlements of Samalaman and Alt Ruadh, and contains 21 houses in permanent occupation plus four holiday homes. In a wider sense it includes the nearby hamlets of Roshven and Lochailort, bringing the population over a distance of eight miles to just over fifty. 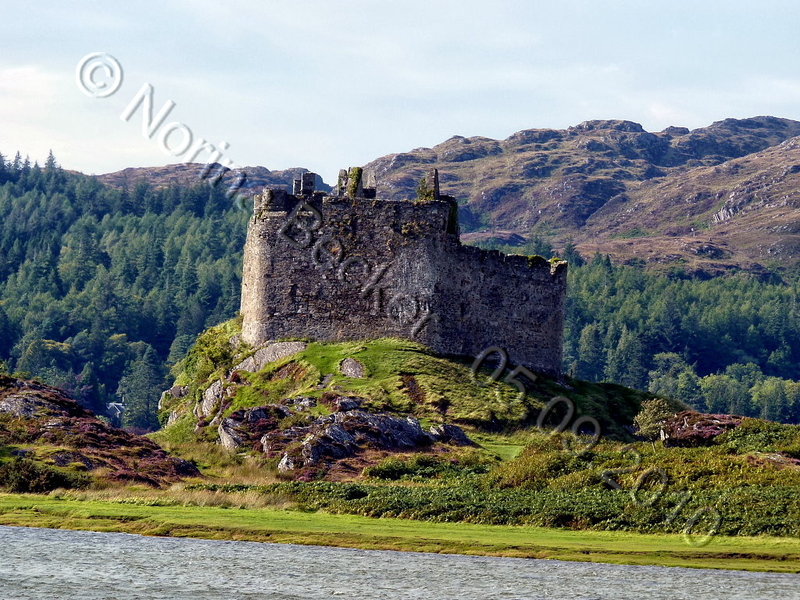 The ruined Castle Tioram (pronounced Cheerum) is sited on the rocky tidal island Eilean Tioram (the Dry Island) where the waters of Loch Moidart and the river Shiel meet. 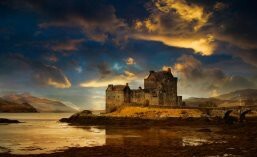 The castle is closed to visitors but it is possible to visit the island at low tide and look at the castle exterior. Notices warn visitors of the possible danger of falling masonry but it is quite possible to obtain good views of the walls from a safe distance. 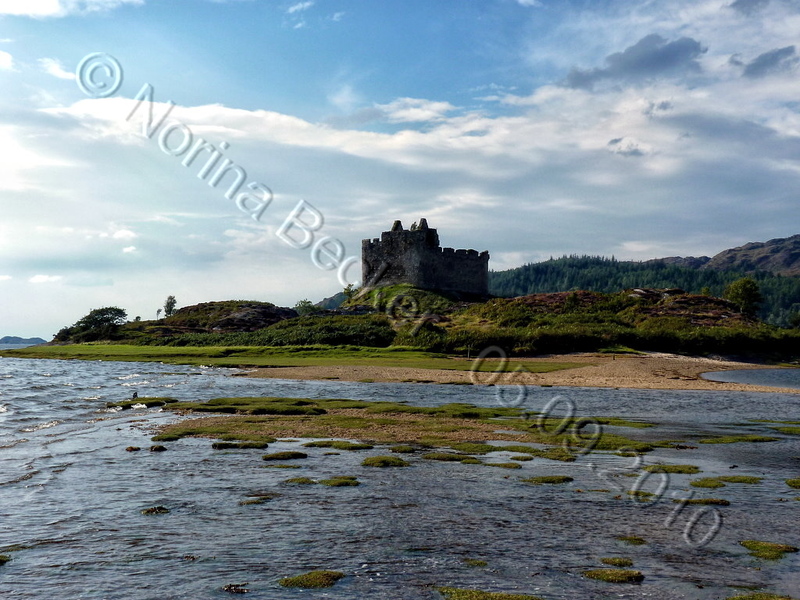 Castle Tioram (sprich Tschi-ram, aus dem schottisch-gälischen Caisteal Tioram, was in etwa trockene Burg bedeutet,) ist eine Burgruine am Loch Moidart, Lochaber, Highlands, Schottland, die auf einem schmalen Landstück liegt, das bei Flut die Insel Eilean Tioram bildet. Es liegt westlich von Acharacle, ungefähr 80 km von Fort William. 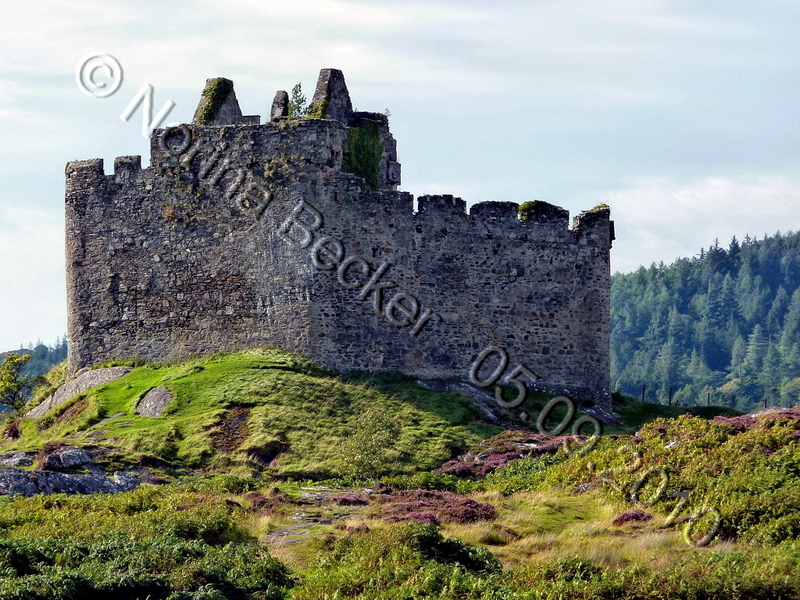 Die Burg selbst befindet sich etwas abseits des offenen Atlantiks und kontrolliert den Zugang zum inneren Loch Moidart und zum Loch Shiel. Sie ist auf der Liste der national bedeutenden historischen Bauwerke Großbritanniens verzeichnet. 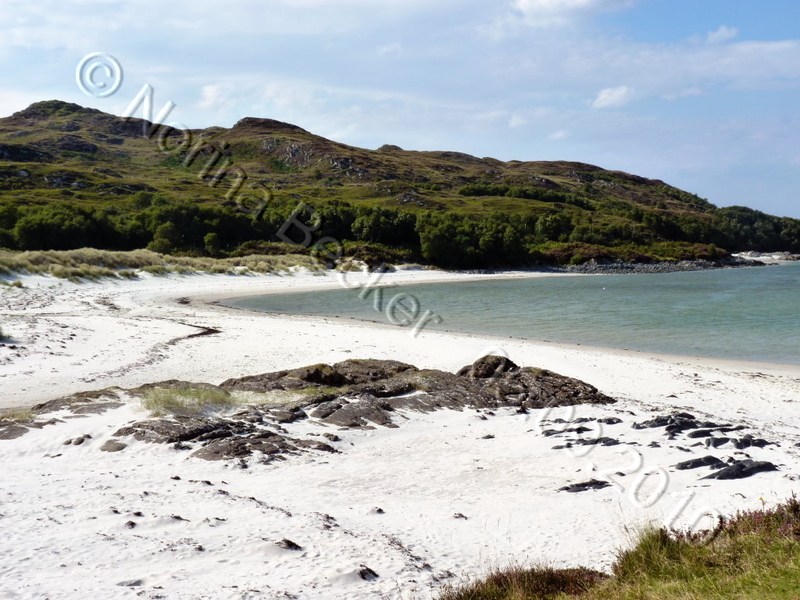 A stunning string of white sandy beaches, with spectacular views out to the Small Isles of Rum, Eigg, Muck and Canna, the Silver Sands of Morar are a spectacular destination. A popular place with walkers, the beaches are all accessible from the road and can be enjoyed individually or as a trail. The beaches incorporate the back of Keppoch and Camusdarach on the coastline. Der Ort Morar ist winzig und lohnt eigentlich keines weiteren Blickes. 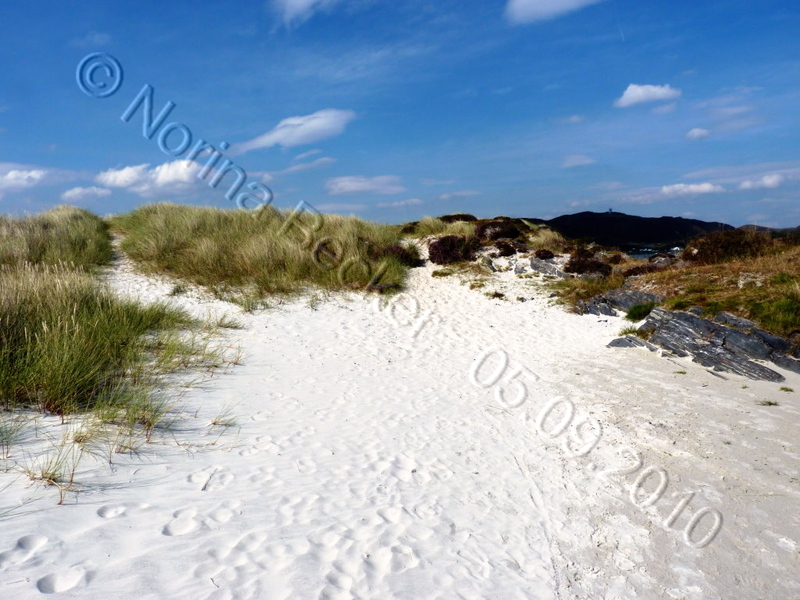 Ganz anders verhält es sich, mit den in der Nähe gelegenen “White Sands of Morar”, die auch als Silvers Sands bekannt sind. Ihre Bezeichnung rührt daher, dass der Sand bei Sonneneinstrahlung wie Silber glänzt. Davon konnten auch wir uns überzeugen. An den wunderschönen Stränden wurden u. a. Szenen der Filme “Highlander” und “Local Hero” gedreht. Nur allzu verständlich, denn die Strände sind einmalig schön. 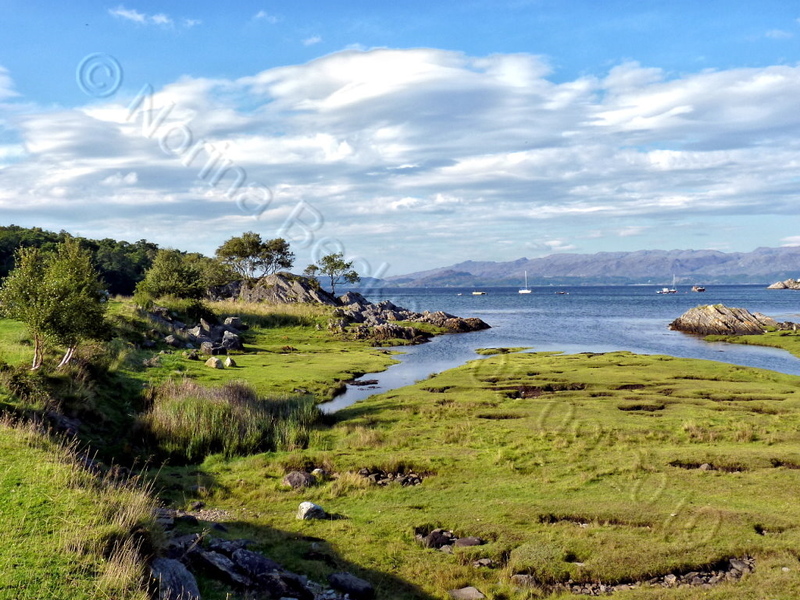 The waters of Loch nan Uamh (loch nan oo -ah; ‘the loch of the caves’) lap at the southern shores of Arisaig; this was where Bonnie Prince Charlie first set foot on the Scottish mainland on 11 August 1745, on the shingle beach at the mouth of the Borrodale burn. Just 2 miles to the east of this bay, on a rocky point near a parking area, the Prince’s Cairn marks the spot where he finally departed Scottish soil, never to return, on 19 September 1746. 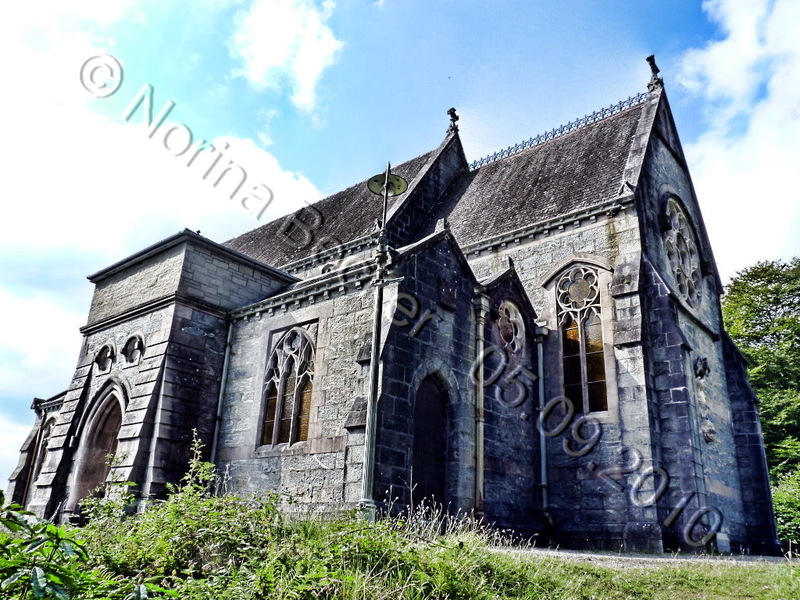 The church was consecrated in 1873. 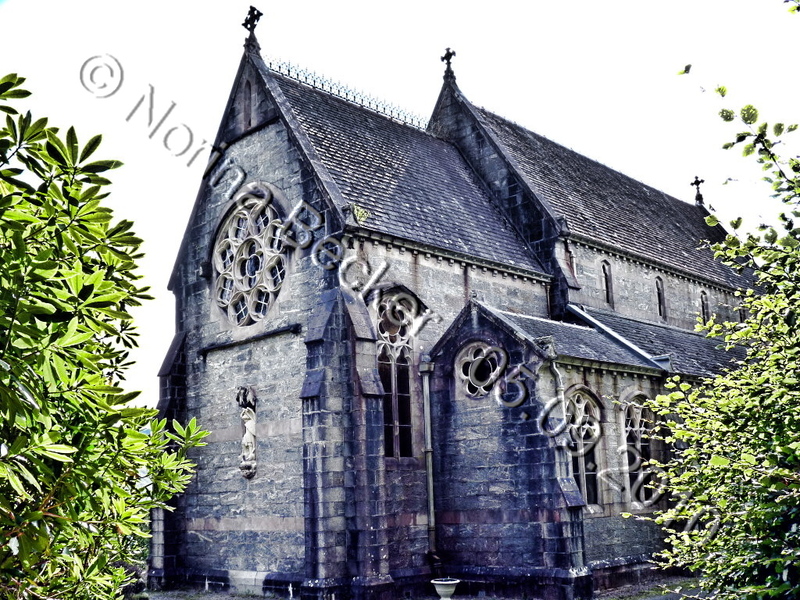 Designed by E Welby Pugin in the Gothic style, the church enjoys an elevated and commanding position overlooking Loch Shiel with a spectacular view of the loch and surrounding hills. 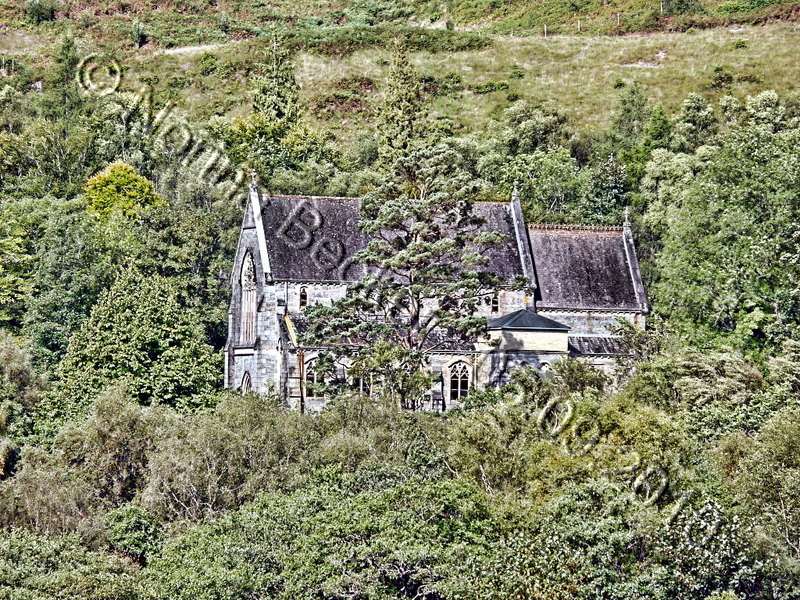 The church is a memorial chapel to the MacDonalds of Glenaladale, the family with whom Bonnie Prince Charlie stayed prior to the raising of the Jacobite standard at Glenfinnan in August 1745. The church contains memorial stones to the Prince and to members of the MacDonald family. Loch Shiel (Scottish Gaelic: Loch Seile) is a 19.3 (11.9 miles) km2 freshwater loch, 120 m (393ft) deep, situated 20 (12.4 miles) km west of Fort William in Lochaber, Highland, Scotland. 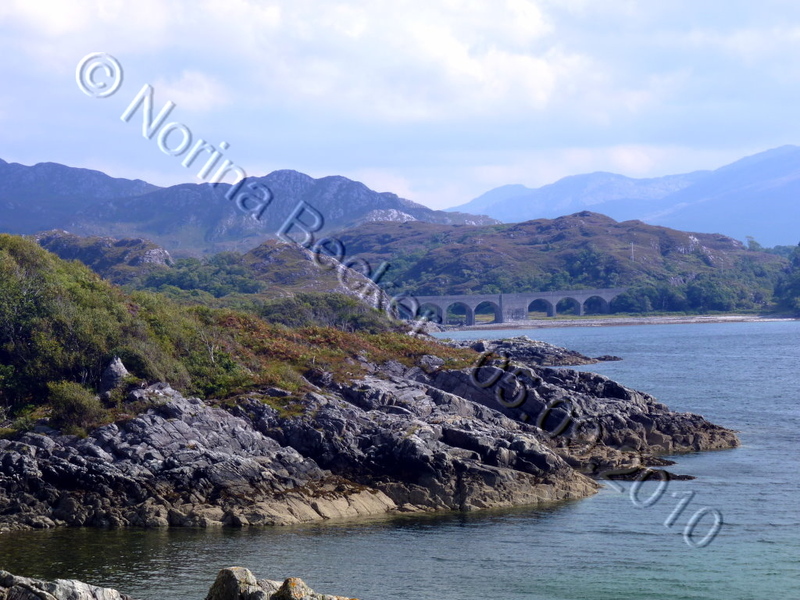 Its nature changes considerably along its length, being deep and enclosed by mountains in the north east and shallow surrounded by bog and rough pasture in the south west, from which end the 4 km River Shiel drains to the sea in Loch Moidart near Castle Tioram. Loch Shiel should not be confused with Glen Shiel, 40 km further north in Skye and Lochalsh, which contains a longer River Shiel and a much smaller Loch Shiel. The surrounding mountains are picturesque but relatively rarely climbed as none quite reaches the 3,000ft (914m) required for Munro status. 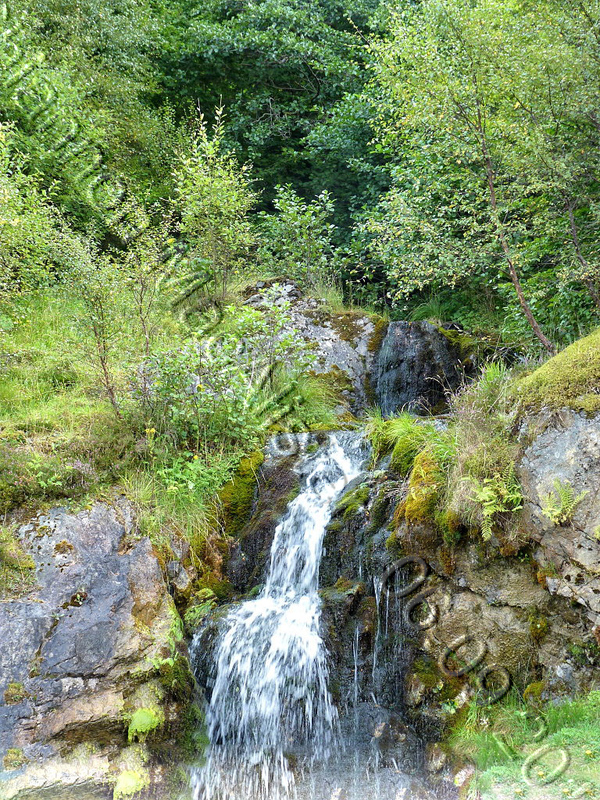 The area is well wooded compared to the many Highland areas that have suffered from overgrazing, and much of the shore is designated a Special Area of Conservation. Uniquely for a major loch, the flow is not regulated. Boat trips for tourists have recently started on the loch. Loch Shiel is only marginally above sea level and was in fact a sea loch a few thousand years ago when sea levels (relative to Scotland) were higher. Loch Shiel (schottisch-gälisch Loch Seile) ist ein Süßwassersee im schottischen Hochland. 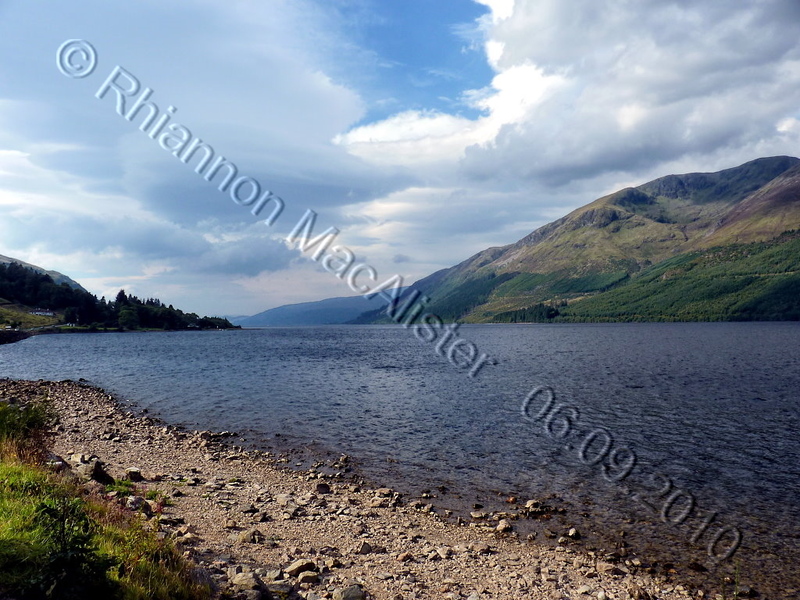 Er liegt in der Council Area Highland etwa 20 Kilometer westlich von Fort William. Gemessen an der Größe der Wasseroberfläche ist Loch Shiel der siebtgrößte See Schottlands. 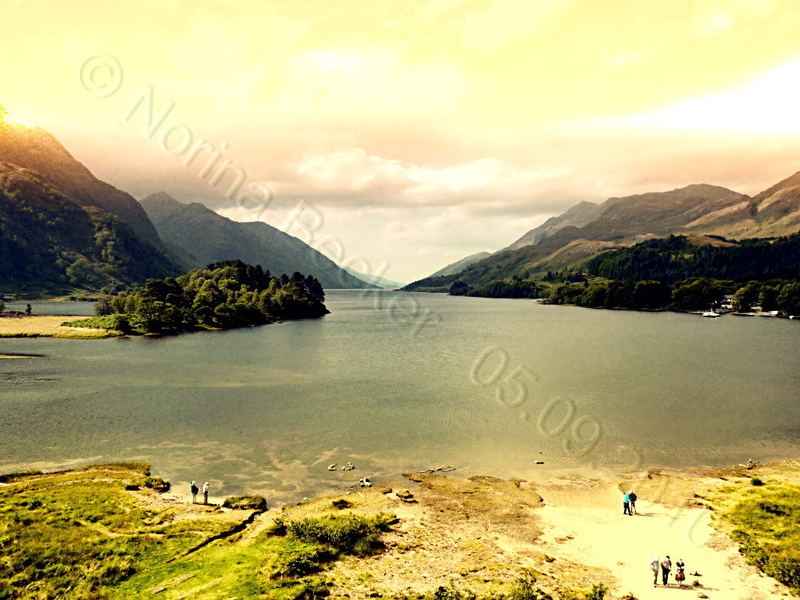 Glenfinnan (Scottish Gaelic: Gleann Fhionghain) is a village in Lochaber area of the Highlands of Scotland. In 1745 the Jacobite Rising began here when Prince Charles Edward Stuart (“Bonnie Prince Charlie”) raised his standard on the shores of Loch Shiel. Seventy years later the 18-metre-high (60 ft) Glenfinnan Monument – at the head of the loch – was erected to commemorate the historic event. 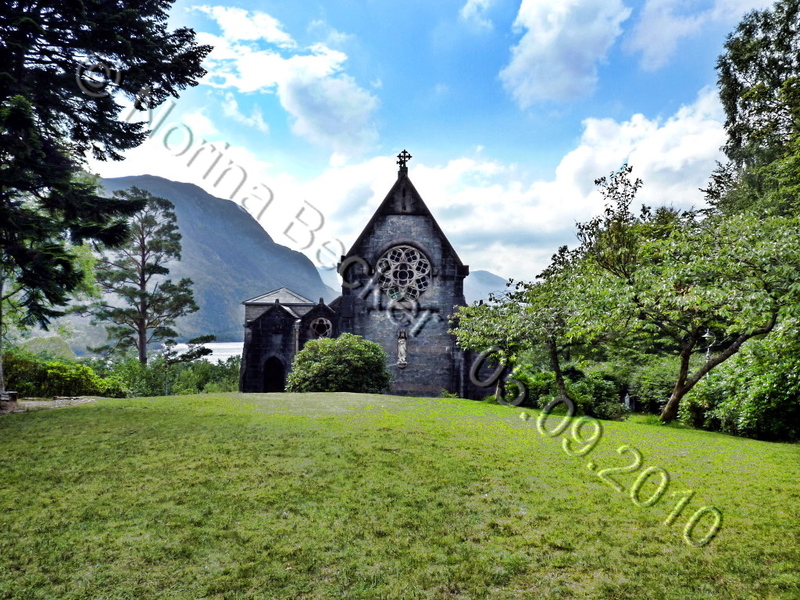 Glenfinnan (aus dem schottisch-gälischen Gleann Fhionnainn) ist ein kleines Dorf in den schottischen Highlands. 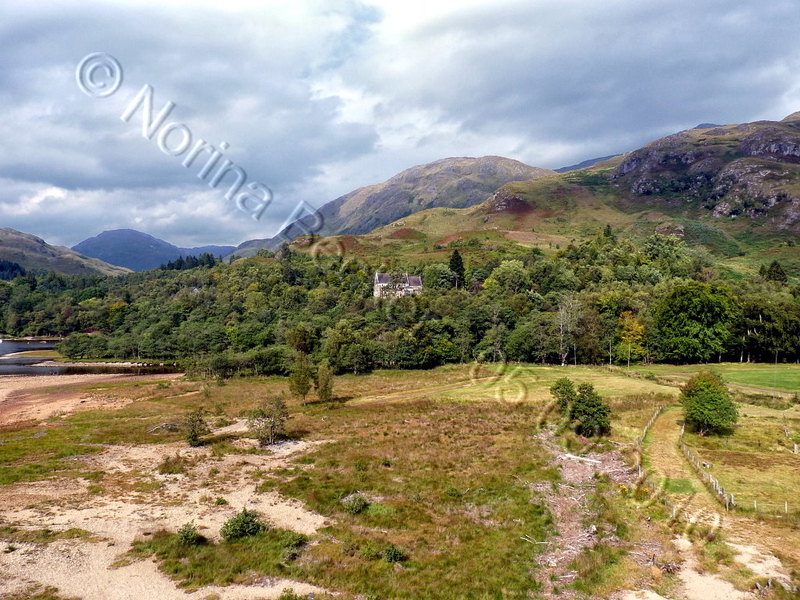 Es liegt am Nordrand von Loch Shiel am Fuße des Glen Finnan. By 1815 the Jacobite threat had receded sufficiently into history to allow the erection at Glenfinnan of a monument to mark the raising of the standard, paid for by the wealthy descendant of a Jacobite. This is a stone tower surmounted by a statue of a kilted highlander (not the prince himself as is often thought). 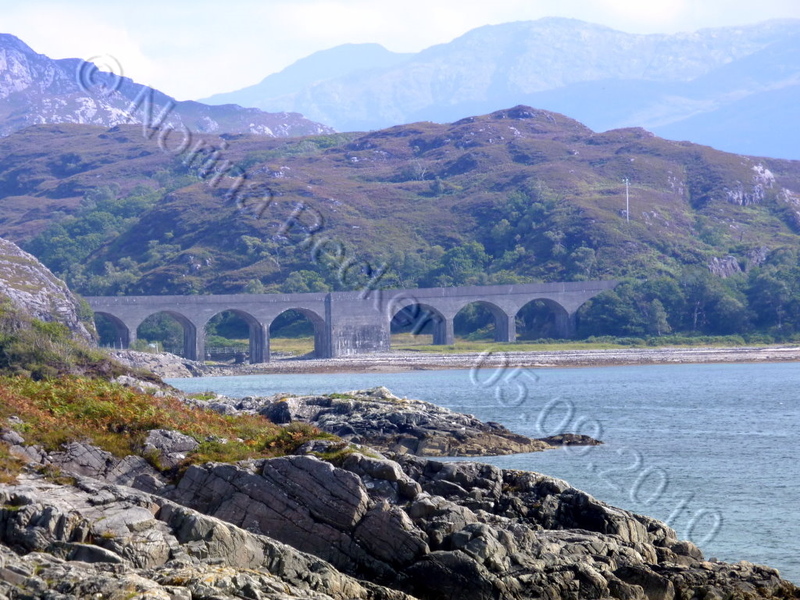 The monument was made possible by the construction in 1812 by Thomas Telford of the road from Fort William to Arisaig, which passed Glenfinnan as its successor does today. The Glenfinnan Monument came into the care of the National Trust for Scotland in 1938, and they have maintained it ever since. They have also built a visitor centre, details above right, next to the main road. Das Glenfinnan Monument liegt am Ufer von Loch Shiel. Es wurde im Jahr 1815 nach Plänen des schottischen Architekten James Gillespie Graham erbaut, um den Platz zu markieren, an dem 1745 die Standarte von Prinz Charles Edward Stuart zu Beginn der zweiten Jakobiterrevolte gehisst wurde. Prinz Charles brach von Frankreich auf und landete in Eriskay auf den Western Isles. 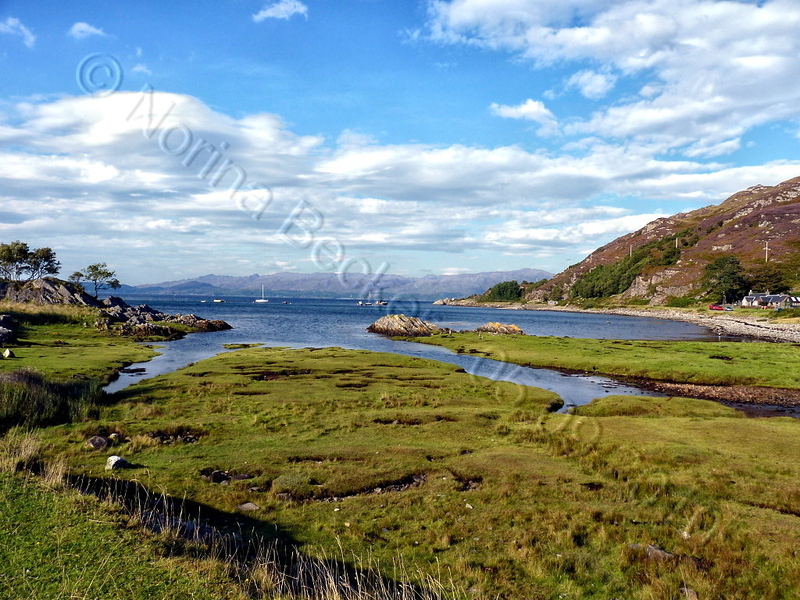 Von dort aus ruderte er in einem Boot bis zur Küste am Loch nan Uamh, gleich westlich von Glenfinnan. Hier traf er auf Mitglieder des Clans MacDonald, die in den nächsten Tagen Unterstützung von weiteren MacDonalds, Camerons und Macdonnells bekamen. Als er entschied, genügend Unterstützung zu haben, hisste er am Montag, den 19. August 1745 auf dem nahen Hügel seine königliche Standarte und beanspruchte den schottischen und englischen Thron im Namen seines Vaters James Francis Edward Stuart. Dies war der Beginn der Rebellion, die acht Monate später in der Schlacht bei Culloden am 16. April 1746 niedergeschlagen wurde. Nach der Schlacht geriet der Verlierer Charles auf seiner Flucht vor den Truppen der Regierung wieder in dieselbe Gegend. Dort konnte er sich verstecken und später mit einer französischen Fregatte von der Küste, nahe dem Platz, wo er gelandet war, wieder fortsegeln. Das Monument markiert auch den Ort, an dem dies geschah. 815 ließ Alexander Macdonald von Glenaladale ein Memorial erbauen, auf dem eine Statue eines Highlanders im Kilt zu sehen war, um der historischen Ereignisse dieses Ortes zu gedenken. Der 19. August wird dort jährlich von Jakobitern im Gedenken gefeiert. Das Monument steht an seiner heutigen Stelle, weil der ursprünglich vorgesehene Platz 1812 dank Thomas Telford von einer Straße durch Glenfinnan verbaut worden war. Alexander Macdonald starb noch vor der Vollendung des Bauwerks. 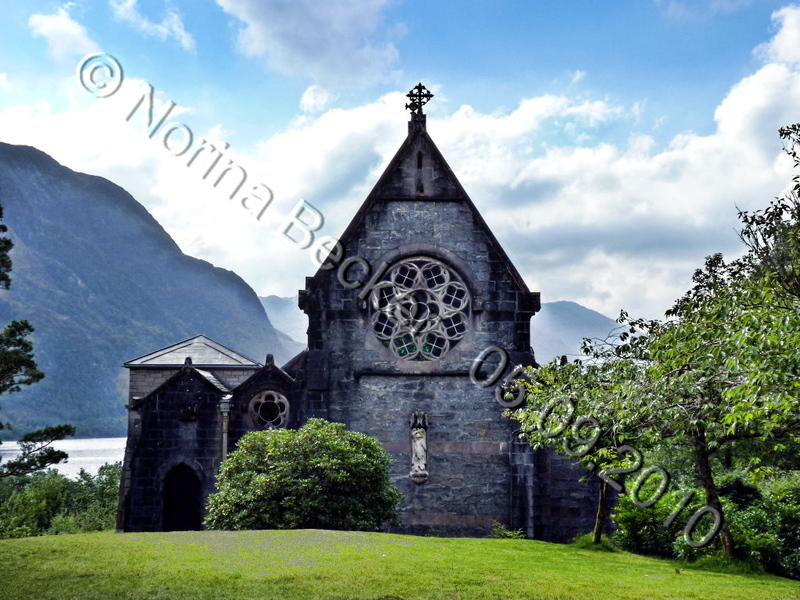 Seit 1938 wird das Glenfinnan Monument vom National Trust for Scotland betreut. Ein Besucherzentrum wurde errichtet, das sämtliche für den Tourismus erforderlichen Annehmlichkeiten wie Führungen, Ausstellungen, Cafes, Shops und weitere Einrichtungen bereitstellt. Buachaille Etive Mòr (Scottish Gaelic: Buachaille Eite Mòr, meaning “the great herdsman of Etive”), generally known to climbers simply as The Buachaille or The Beuckle, is a mountain at the head of Glen Etive in the Highlands of Scotland. Its pyramidal form, as seen from the A82 road when travelling towards Glen Coe, makes it one of the most recognisable mountains in Scotland, and one of the most depicted on postcards and calendars. Buachaille Etive Mòr takes the form of a ridge nearly five miles (8 km) in length, almost entirely encircled by the River Etive and its tributaries. The ridge contains four principal tops: from north-east to south-west these are Stob Dearg (1022 m), Stob na Doire (1011 m), Stob Coire Altruim (941 m) and Stob na Bròige (956 m). Stob Dearg and Stob na Bròige are both Munros; the latter was promoted to Munro status by the Scottish Mountaineering Club in 1997. Der Buachaille Etive Mòr (gälisch Buachaille Eite Mòr) ist ein bis zu 1.022 Meter hohes Bergmassiv in Schottland. Sein Name bedeutet Großer Schäfer/Hüter von Etive. Er liegt in den westlichen Highlands südlich von Fort William am östlichen Ende des Glen Coe. Zwei seiner Gipfel zählen zu den 282 Munros. Das rund acht km lange Bergmassiv des Buachaille verläuft vom östlichen Ende des Glen Coe nach Südwesten, östlich begrenzt vom Glen Etive. Die höchsten Gipfel des Massivs sind von Nord nach Süd der Stob Dearg mit 1.022 m, der Stob na Doire mit 1.011 m, der Stob Coire Altruim mit 941 m und der Stob na Bròige mit 956 m. Der Stob Dearg und der Stob na Bròige sind Munros, die anderen Gipfel weisen eine zu geringe Schartenhöhe auf. Westlich wird das Massiv durch das Tal Lairig Gartain vom Buachaille Etive Beag getrennt, der mit 958 m etwas niedriger ist. Durch seine markante Nordostwand, die pyramidenförmig über dem Talende des Glen Coe und dem Rannoch Moor aufragt, ist vor allem der Stob Dearg ein sehr bekannter und viel fotografierter Berg. Dazu trägt auch die leichte Erreichbarkeit über die nördlich des Bergmassivs verlaufende A82 von Glasgow nach Fort William bei. Bestiegen werden kann der Buachaille Etive Mòr über verschiedene Routen, die kürzeste führt durch das Coire na Tulaich, ein Kar in der Nordseite. Eine beliebte Tour ist auch die komplette Überschreitung aller Gipfel. Die Ostwand weist einige der anspruchsvollsten Kletterrouten Schottlands auf. The route of the former Callander and Oban Railway runs along the west shore of the loch. This route has now been converted to a part of the National Cycle Network’s ‘Route 7′ allowing cyclists and walkers to travel the 9 miles between Callander and Strathyre. Loch Lubnaig (gäl. Loch Lùbnaig) ist ein kleiner Loch nahe Callander in der Council Area Stirling. Er liegt in der ehemaligen Grafschaft Perthshire. Loch Lubnaig ist etwa 5 Kilometer lang und bis zu 44,5 Meter tief. Der See ist in den Raum zwischen Ben Ledi westlich des Sees und Ben Vorlich sowie Stùc a’ Chroin östlich des Sees eingebettet. Gespeist vom Balvag im Norden und im Süden in den River Leny, einen Nebenfluss des Teith, abfließend, erlaubt Loch Lubnaig das Angeln vom Ufer aus, während am nördlichen Ende Kanus ausgeliehen werden können. 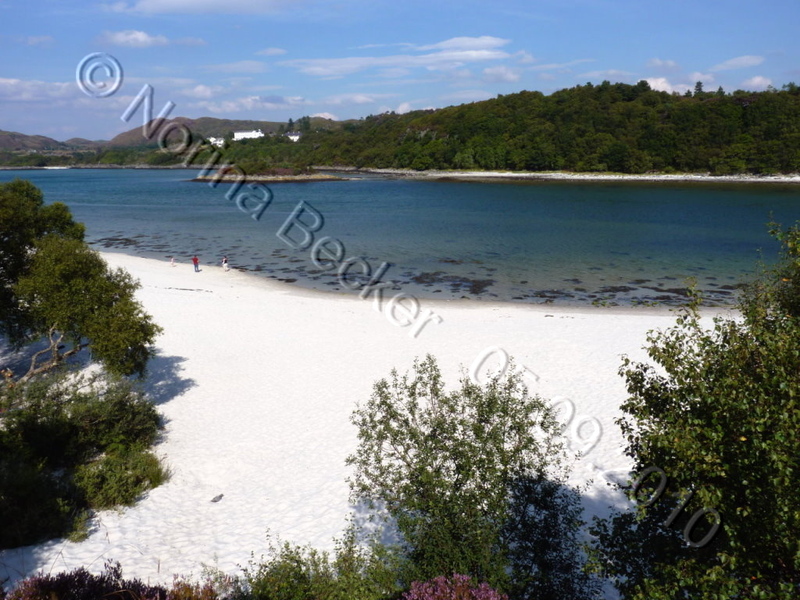 Die Strecke der ehemaligen Callander and Oban Railway verläuft am westlichen Ufer des Lochs. Diese Strecke wurde mittlerweile in einen Teil der National Cycle Network’s „Route 7“ umgewandelt und erlaubt es Radfahrern und Wanderern, neun Meilen zwischen Callander und Strathyre zu bereisen. Der Name Lubnaig kommt aus dem Gälischen und bedeutet „krumm“. Roslin Castle (auch als Rosslyn geschrieben) ist die Ruine einer Niederungsburg in der Nähe von Roslin in Midlothian, Schottland, 15 Kilometer südlich von Edinburgh. Sie steht an der Nordseite des Flusses North Esk, einige hundert Meter von der Rosslyn-Kapelle entfernt.